Natasha Phillips talks about the problem with plastic waste and what we can do to be better consumers. Plastic is still a relatively new material, but it has transformed all aspects of our lives, and the world today would look very different without it. But 60 years later, 6.3 billion tonnes of plastic waste has been produced, and 79% of that is in landfill or in the natural environment. The impact of this is immense; plastic waste produces huge amounts of greenhouse gases, and can be fatal for marine life when it ends up in the ocean. 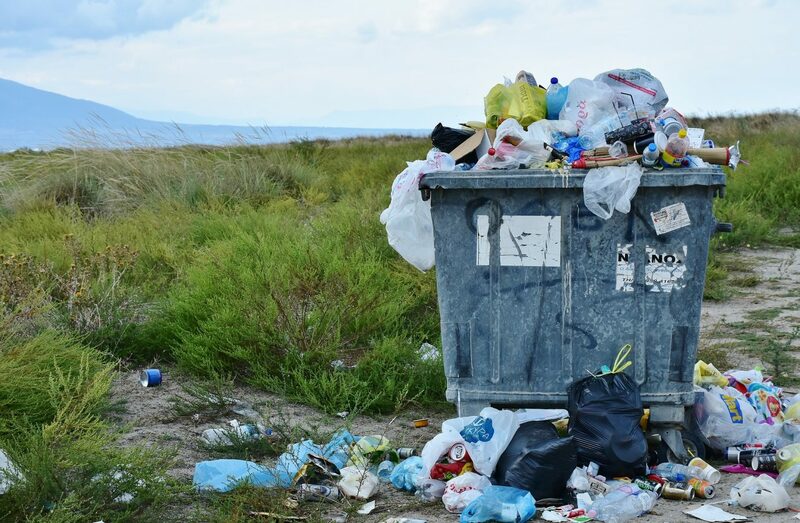 The real issue lies with single-use plastic in the form of plastic bottles, food packaging, and the like, which despite being used only once, take 450 years to decompose. Reducing our use of these items could make a tangible difference, and we’ve all heard the stats, so what stops us from making more eco-friendly choices? Not buying single-use plastic at all is possible, but not a realistic option for most people. The next best thing is to recycle, but with 7 main types of plastic which aren’t all suitable for recycling and aren’t always clearly labelled, it is difficult to do it right. You might have seen packaging which says that the plastic used is ‘not widely recycled’ and to check with your local rubbish collection service, which is all very well when disposing from home, but what about plastic products that are bought, consumed and disposed of elsewhere? The information is often available online, but it is not surprising that so much recyclable plastic ends up in landfill when you have to do your research first. We all know we should aim to be eco-friendly, but it is difficult to commit to the lifestyle change. It’s thought that it takes around 2 months to change a behaviour, and with busy lives it can seem a daunting task to be cognisant of everything we consume. Being an ethical consumer means buying organic, Fairtrade, free-range, cruelty-free, locally-sourced goods, and boycotting products made from non-recyclable plastic is just another thing to add to the growing checklist. A third of UK consumers purport to be concerned about ethical consumption, but this just isn’t reflected in our modern lifestyles. Whilst many companies have made efforts to reduce packaging and use recyclable materials, in many cases, companies resist the switch to sustainable alternatives. Doing so would hike up manufacturing costs, causing retailers to lose profit or risk losing business by increasing retail price, so the plastic remains. Case-in-point: the humble teabag. An underrated masterpiece of modern engineering, or enemy of the environment? Alas, it seems nothing is sacred. Your regular teabag contains up to 25% non-biodegradable polypropylene, which given the 60 billion cups of tea Brits enjoy per year, contributes a huge amount of plastic waste. This also makes them unsuitable to compost, so it seems even our efforts to reduce landfill waste are misguided. Of course, sustainable alternatives would come down in price if they became the mainstream, but resistance from retailers and lack of transparency about materials used means that plastic waste remains high. A recent report showed that only 3% of the UK market is committed to producing ethical goods, catering only for the truly eco-conscious who are aware of the impact of their choices. So, whilst companies turn a blind eye, consumers remain largely uninformed. After all, who has time to research everything they put in their supermarket trolley? The capitalist structures in place make being eco-conscious difficult, when these choices should really be more actively encouraged. The easier option is therefore to ignore the statistics and continue with our old ways. But adopting environmentally friendly choices every day is vital to making positive change. We need to make sustainability fashionable, and no, that doesn’t mean wearing biodegradable clothing. (But maybe one day). 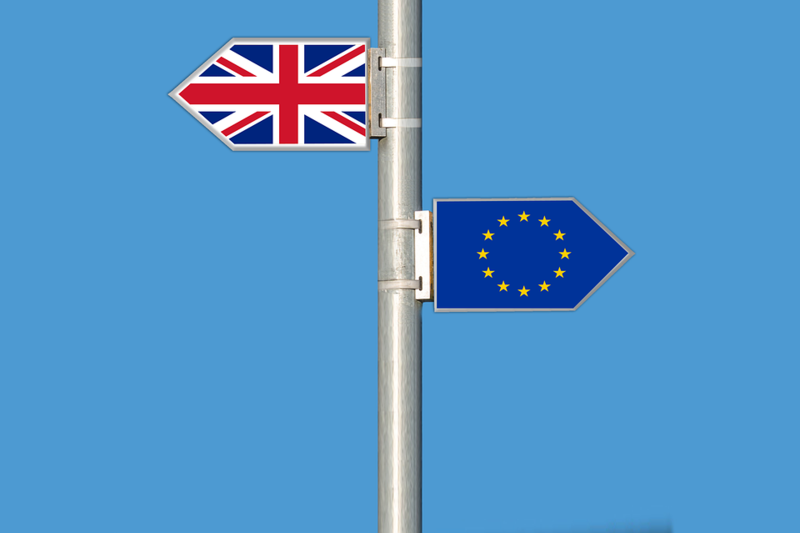 Orbital's politics columnist, Jasmine Cox, reflects on the prime minister's hopes for a 'Green Brexit'. 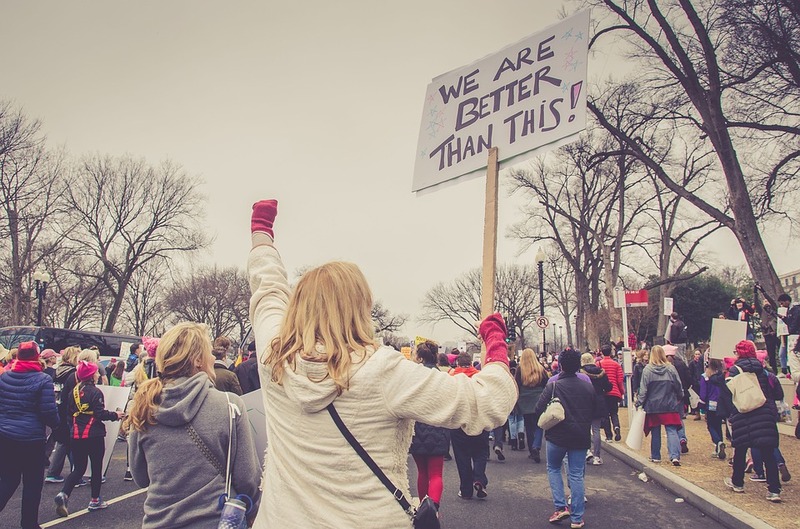 Rachel Hains explores the second ever 'Women’s March' in London, reminding us that the fight for equality is far from over.